During an initial consultation, a comprehensive case history is taken, detailing your current condition and past medical history. This includes details of previous injury, illness, medication or surgery. You will then be given a thorough examination in relation to your complaint to ensure treatment is appropriate to your needs. This would typically include clinical, diagnostic and neurological testing, joint and muscle testing and a postural assessment. The osteopath will also use his/her sense of touch (palpation) to identify any area of excessive strain, injury or weakness throughout the body. The osteopath will explain what s/he feels is the cause of the problem and discuss treatment procedures, taking into account lifestyle, environment and other factors. Osteopaths use a variety of techniques to restore function and stability to a joint. They might use a structural or a cranial approach, depending on the patient and type of problem. 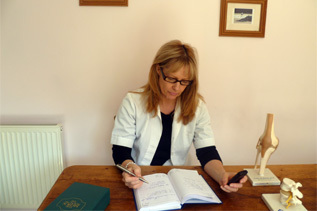 Treatment is tailored to the needs of the individual and is suitable for all ages.